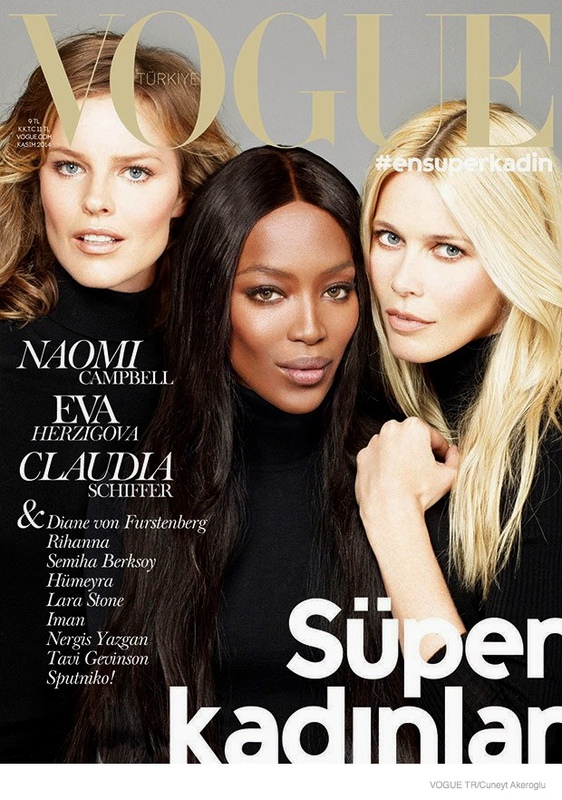 Supermodels on Vogue–Supermodels Naomi Campbell, Claudia Schiffer and Eva Herzigova land the November 2014 cover from Vogue Turkey. Captured by Cuneyt Akeroglu, the beauties show off their famous looks in matching black turtlenecks. This reminds us of the September cover of Vogue Japan, which was also full of 90s supermodels. Check out a preview of the shoot below.